In episode four of season one, it’s Prue’s birthday and Piper’s dealing with the spirit of a man that needs her help, while Phoebe is working as a hotel psychic so that she can buy Prue a great birthday gift, but Phoebe’s visions cause some drama with the hotel guests. In the third episode of season one, the sisters have to deal with strange neighbors and the reappearance of their absentee father, Victor. In the second episode of season one, the Halliwell sisters encounter a demon named Javna who steals the youth from the young. Besides demons trying to steal their youth, Piper is dealing with her fear that she’s evil now that she’s a witch, Prue has relationship issues with Andy, plus she needs to find a new job, and Phoebe is learning what happens when she uses her powers for personal gain. Charmed was not a show I fell for right away, but over time it became one of my absolute favorites. With the news of the reboot coming soon, I decided to rewatch this wonderful show from the beginning and post reviews of each episode. These won’t be full blown reviews, but more like my random thoughts throughout the episode, with a summery at the end. I’ll also be rating each episode using a five star rating system. 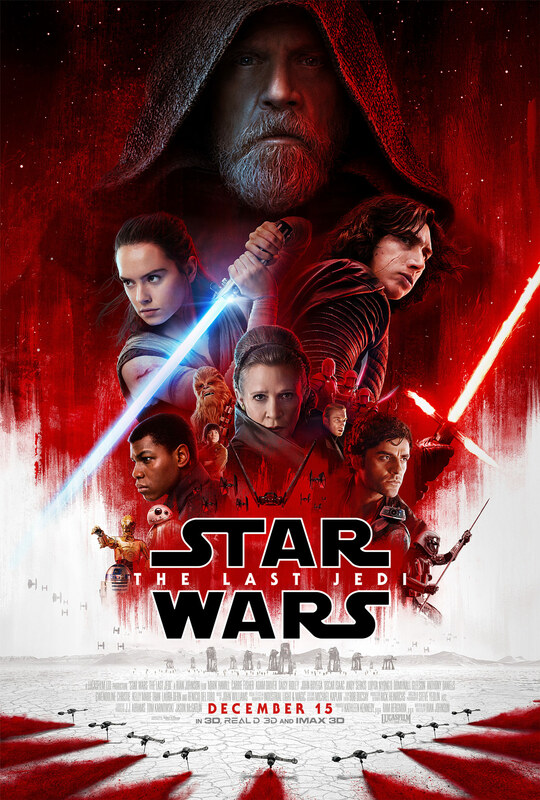 So, as we all know life can sometimes get in the way of us doing things we want to do, like rewatch and write up a review for a Star Wars movie. My life has finally settled down enough that I can finally do just that. So, without further ado, the time has come to review one of the most controversial and polarizing movies from the end of 2017. Here is my review of episode eight, The Last Jedi. Now, after following the success of The Force Awakens, many people had spent the two years between Episode VII and Episode VIII theorizing about what would happen next. Which, in my opinion, put a lot of pressure on The Last Jedi‘s director Rian Johnson. As I said above this movie received some very strong hate directed it’s way, but also a lot of love. The question now is, where do I fall on this scale of love and hate after seeing The Last Jedi for a second time? Here are some of my favorite things from May. We’ve got three movies and one TV show.